Rebecca Adlington has achieved so much in her career already and she goes in to London 2012 as one of our greatest hopes for gold. Rebecca was born in Mansfield, Nottinghamshire in 1989. She started her swimming career with Sherwood Colliery Swimming Club. Rebecca continues to compete in local swimming leagues for Nottingham Leander Swimming Club, and took part in the National Speedo ‘B’ Final in May 2010. 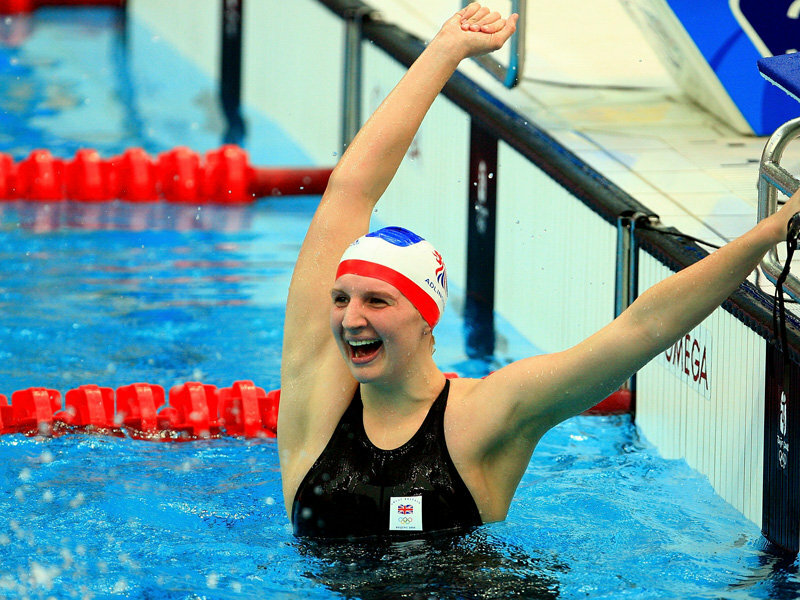 Rebecca competed in her first Olympics in Beijing 2008, swimming the 400 m and 800 m freestyle. She was also chosen to swim in the 4×200 m freestyle relay team but did not take part in the heat as she was being rested and the team failed to qualify for the final. In what has to be one of the greatest moments in British Olympic history, Rebecca beat Katie Hoff of the US in the last 20 m of the race to take the gold. She was the first woman to win a gold in swimming for Great Britain since Anita Lonsbrough in 1960. 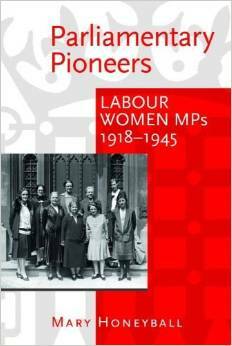 She was also the first British swimmer to win more than one gold medal at a single Olympic Games since Henry Taylor, who won three in 1908. “I’ve been swimming in local pools since I can remember and there’s no doubt those pools helped me win two Olympic gold medals. Without the access I had, and that was available for everyone, I would not be able to do what I do. But it’s not just about the elite level, it’s really important to have as many pools as possible for everyone to use. I completely agree with Rebecca that easily accessable pools are very important for the health wellbeing of local communities. I wish the campaign every success. Since 2008 Rebecca has become one of Britain’s most popular sports personalities. I know that the whole country will be loudly cheering her on this summer in London. Anita Lonsbrough won gold for Great Britain at the Rome Olympics 1960. It would be another 48 years until another Brit would match her spectacular achievement, when Rebecca Adlington swam to victory in Beijing. Not only did Anita win gold in Rome for the 200m breaststroke, she also broke the world record with a time of 2min 49.5 seconds. Her win was ranked 44th by the Daily Mail in its top 50 Olympic moments. Her illustrious career also saw her take home medals from several European and Commonwealth Championships. Anita was considered to be one of the 1960’s golden girls of sport, alongside Dorothy Hyman, Anne Packer and Mary Rand. In 1962 she was the first woman to be awarded the BBC sports personality of the year award. A year later she was awarded an MBE for her services to swimming. At the Tokyo games of 1964 Anita had the honour of being the first ever British woman to carry the Union Jack at an Olympic opening ceremony. 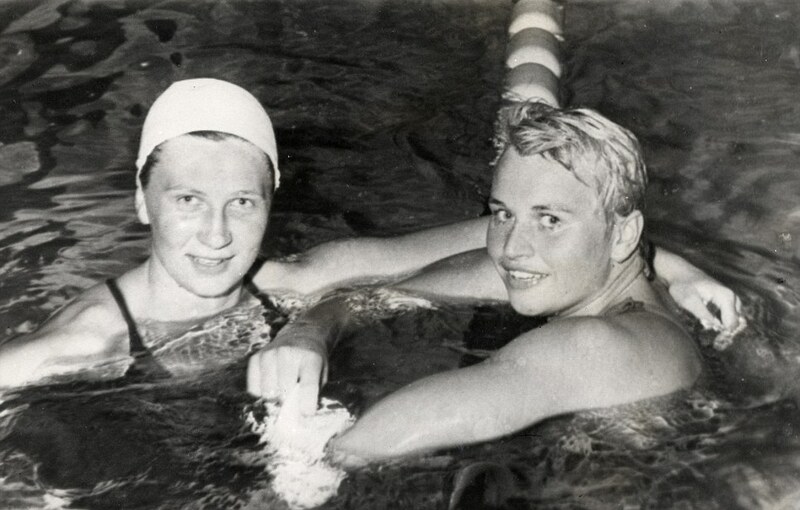 Anita’s star shone in a time when swimming was considered to be an amateur sport, and before sponsorship deals allowed sports stars to compete professionally. In order to represent Great Britain, Anita combined her swimming career with a full time job working for Huddersfield Council. To go to the Rome games she even had to save up her holiday entitlement in order to take time off work. Today Anita is a sports writer for the Daily Telegraph.